Ten-Minute Methodology: Are You Searching or Researching? Springboard Editor2018-05-15T09:51:46-04:00July 8th, 2015|Methodology, Ten-Minute Methodology|Comments Off on Ten-Minute Methodology: Are You Searching or Researching? Are you up to date? From the old Standards Manual to the new Genealogy Standards the first component of the Genealogical Proof Standard (GPS) is different. Have you noticed? We used to say, “We conduct a reasonably exhaustive search.” That’s still true, but there’s more. We conduct reasonably exhaustive research. Those two added letters bring much more to what others expect of us as genealogists and what we must expect of ourselves. Research connotes more than search. It covers searching, of course—careful and thorough searching in a wide variety of sources. It also includes planning, critical thinking, and evaluation. And research includes strategies that go considerably beyond identifying relevant records and searching for a name of interest. Let’s look at how the concept is presented in reference works we use often. As genealogists, we examine sources and collect information, always subjecting both to critical evaluation. Standards 35 and 36 advise us to “appraise [the] likely accuracy, integrity, and completeness” of our sources and information. We also interpret the information we find. We think about it and decide if it becomes evidence to support our hypotheses. Standards in “Reasoning from Evidence” apply to the mental processes we perform on our collected data to turn it into evidence and to use that evidence to draw conclusions. This first element of the GPS, even the word research alone, carries in it the sense and the value of the whole standard. The words of the GPS define us as not just lookup artists, no matter how skilled or experienced. We are more. As researchers we collect data, subject it to rigorous evaluation, compare and contrast it with other data and conclusions, and propose new information or conclusions. That’s a big responsibility. The GPS takes us there with the mindset of researchers, not just seekers. 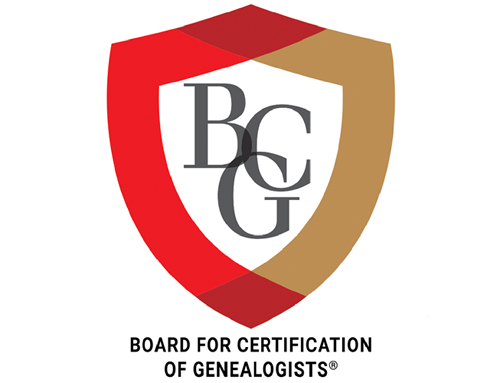 The BCG Genealogical Standards Manual (Orem, Utah: Ancestry Publishing, 2000), 1. Genealogy Standards (Nashville, Tenn.: Ancestry.com, 2014), 1. The author is grateful to Elizabeth Shown Mills for input to this paragraph and encouragement overall. Elizabeth Shown Mills, Evidence Explained: Citing History Sources from Artifacts to Cyberspace, 3rd ed. (Baltimore: Genealogical Publishing Co., 2015), 15.